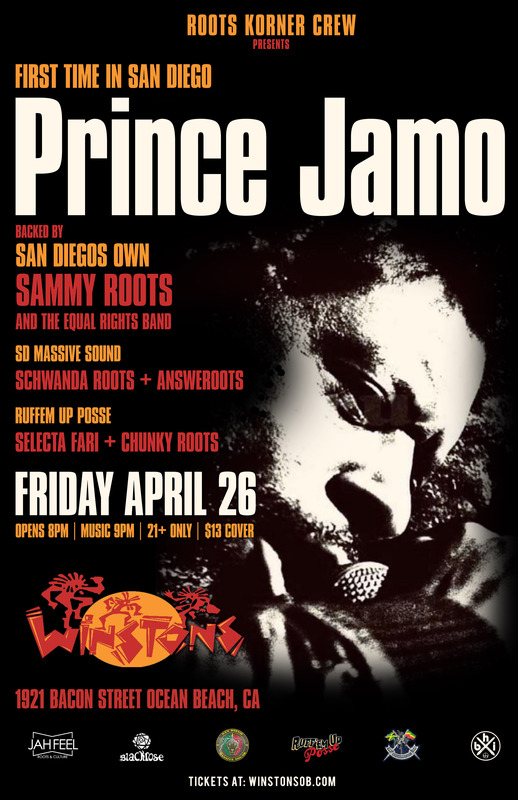 Singer, Songwriter, Performer, Self-taught Musician and Label owner, Prince Jamo was born and grew up in Birmingham. Inspired from the age he was aware and conscious, music has always played an important part of his life. When very young he picked up the first instrument and taught himself to play along with records his brother and sisters bought, while early in his teens started buying and collecting vinyl and also going concerts regularly. 17 years old he was one of three founder members of RNT Ruffneck Trilogy band, formed 1989 along with Bonzo B and King Stanley. Two more members Digga (Scotty) Ranks & Ceefax joined in 1992 and they hit the musical road supporting various International artists such as Israel Vibrations & Mighty Diamonds,commenting regularly to London on becoming signed to London Records and Sony Publishing in 1996. After the conclusion of that great musical experience he relocated back to Birmingham, where in 2003 Blackrose Projects was created. He went onto embark on a solo career and continued producing music for his first solo releases in 2010 until present continuing to release through a variety of labels, performing with international Sounds Systems from across the world, performing with and supporting the highest regard in Reggae industry and many collaborations with a many great artist and producers on International stages and Sound System meetings. Now a member of the ONE NATION Sound System, a brand new sound from Birmingham UK, and set for many future releases on his own Label the BLACKROSE grows form strength to strength. First release on BLACKROSE label is the 12" The Night Of Our Lives/Haul And Pull Up, out january 2019.